I'm having a prehistoric kind of weekend. Last night I read MAMMOTHS AND MASTODONS, and tonight's CYBILS nominee offering is BORN TO BE GIANTS, by Lita Judge (who started working on dinosaur digs for the Museum of Paleontology in Alberta, Canada, when she was only 15!). Oh, and in case you were wondering- dinosaurs and mammoths/mastodons were not alive at the same time- dinosaurs actually lived about thirty million years before dinosaurs. I learned that last night. BORN TO BE GIANTS is a kind of continuum of dinosaur parenting styles. Which is something I never really thought about. I knew dinosaurs hatched from eggs, and just kind of assumed that parenting styles were similar to those of modern day reptiles. This is actually not the case at all. Or it is the case sometimes, but not all of the time. Lita Judge begins with the Saltasaurus, a dinosaur who did, in fact, lay thousands of eggs on a sandy riverbank and then leave them. 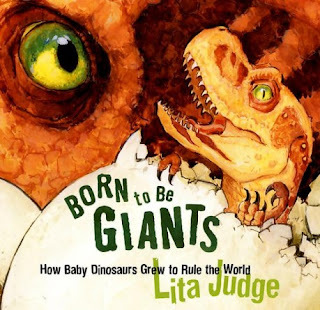 Judge points out that some dinosaurs, such as Saltasaurus or Argentinosaurus were so large that they really couldn't protect their babies-- they would probably step on them and crush them. Other dinosaurs, like tyrannosaurus rex, however, did stay at their nests. They couldn't sit on their eggs (again, too heavy!) but they did watch over them and guard them from predators. Judge then explains that smaller dinosaurs, such as oviraptors, did sit on their nests, and may also have cared for their young. Dinosaurs such as the Maiasaura were next along "care continuum." Maiasaura are alricial, meaning the babies have to stay in the nest and taken care of until they grow stronger. Other dinosaurs (and birds like geese) are precocial. They can care for themselves and hunt for food at birth, but stay with the parents for protection. And then there were other dinosaurs like troodon, that grew up with the pack, so that they could learn hunting skills. Judge's fact-filled text is accompanied by her own water-color (I think) illustrations. Appendices in the back include a timeline and brief paragraph about each featured dinosaur, a glossary, a bibliography, and an author's note about her experiences with dinosaurs. I loved thinking about dinosaurs through this new and different lens. I also think this would be a great mentor text for helping kids think about how authors organize nonfiction information. In 2007, ten-year-old Kostia Khudi and his brother, Edik, are gathering firewood in their home in Northern Siberia when they notice a strange lump by the river. At first, they assume it's a dead reindeer, but on further investigation, they find it has a trunk like an elephant. They hurry home to tell their father, a member of the Nemet tribe, who believe that anything that comes from the underworld will bring terrible luck. Yuri first hikes to a sacred place on the tundra to make an offering to the spirits, then hikes 73 miles to report the sighting of the creature, which turns out to be a frozen baby woolly mammoth. 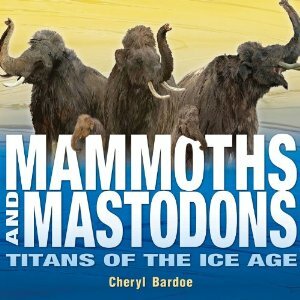 So begins MAMMOTHS AND MASTODONS: TITANS OF THE ICE AGE, written by Cheryl Bardok, in conjunction with an exhibit at The Field Museum in Chicago. This book is everything I could hope for in a nonfiction book for children. First, it's engaging, from beginning to end. There are stories, like the one above. There are imaginary game show scenarios, where the reader is invited to guess whether silhouettes of three different creatures are actually mammoths or mastodons. There are vignettes about what life might have been like during this time on earth--I especially loved "Teen Bull in Trouble," (page 22) where the author describes the last hours of a young Columbian mammoth, who consumes a tasty snack, then finds himself trapped in a slippery-banked South Dakota hot springs. But what I love most about this book is that it traces the work of actual scientists. Cheryl Bardoe followed Dr. Daniel Fisher (world renowned mammoth expert and professor at the University of Michigan), Dr. Lawrence Agenbroad at the Mammoth Site of Hot Springs in South Dakota, and Jacqueline Codron, a South African biologist and elephant expert, into their work sites in the field and into their laboratories. She interviewed them extensively and took pictures of them at work. Each chapter in the book is based on a different aspect of their work as scientists. There's an entire chapter, for example, on how Dr. Fisher pieces together information about mammoths and mastodons using information from the rings in cross-sections of the tusks. Another chapter explains how Dr. Codron used information from elephant dung and tail hairs to demonstrate that an elephant population was not responsible for destruction of trees needed to feed other herbivores at Kruger National Park in South Africa. Bardoe continually demonstrates how the work of these scientists impacts our world today. Over and over again, she links mammoths and mastodons with their modern day elephant cousins. She explores theories of why mammoths and mastodons became extinct and wonders whether that could happen to their modern day cousins. She talks about over hunting and global warming. She makes readers care about saving this species. The book is full, full, full of incredible photographs and watercolor illustrations and maps and diagrams, sure to catch the eye of even the most reluctant of readers. Great sidebar articles such as, "Did Dinosaurs and Mammoths live at the same time? "provide readers with helpful background information. And there are, of course, the typical nonfiction tools such as headings a glossary, and references, and an index. The book would be a great resource for reviewing tools nonfiction authors use with intermediate grade readers. A rich, rich read for intermediate grade classrooms. P.S. There was a big discovery in Colorado this week. Read about the find of a woolly mammoth skeleton in Snowmass Village here. If you asked me to name one of my all time favorite read alouds to use with intermediate grade students, I would not think for very long, maybe a millisecond, before I said, HOW TO STEAL A DOG by Barbara O'Connor. It is, by far, one of my favorite, favorite, favorite read alouds (and I'm not one of those teachers who reads the same books over and over and over again, in fact, I rarely read a book two years in a row). 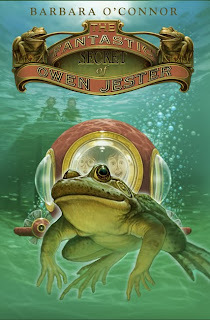 I couldn't wait, then, to get my hands on Barbara O'Connor's newest book, THE FANTASTIC SECRET OF OWEN JESTER. I've been on the wait list at my library for almost a month, but they only have three copies, and it seemed like it was going to be a while. Tonight, while I was waiting for my son to have his hair rebraided, I broke down and bought it. And am so glad I did. It's terrific!!!!! 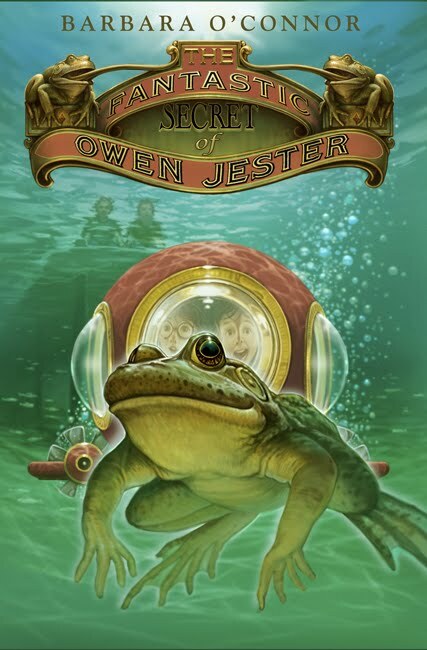 Owen Jester's father has lost his job at the hardware store, and the Jester family is living with Owen's grandfather, and his grumpy nurse, Earlene. The house is in a fairly rural area, and Owen has spent two weeks capturing an enormous bullfrog, who he names Tooley Graham-- Tooley for a cousin and Graham for Graham Pond, where the bullfrog was captured. Owen is thrilled to have a pet, but Tooley seems not nearly as happy as Owen. I know my intermediate grade readers are going to love this book! We interrupt this month (or two) of CYBILS nonfiction picture book nominee reviews to bring you a Friday of Poetry. 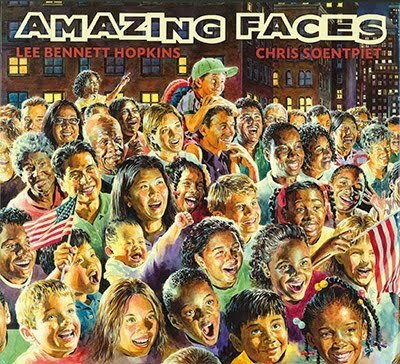 The ever prolific, ever poetic Lee Bennett Hopkins has collected sixteen poems about people from different cultures. He's gathered poem stories and images from some of today's best known children's poets and authors- people like Rebecca Kai Dotlich, Carole Boston Weatherford, Nikki Grimes, Jane Yolen, Pat Mora, Janet Wong, and Prince Redcloud- to produce a beautiful collection. And just when you think it can't get any better, well, you aren't going to believe this, but it does, because these poems are illustrated by one of my all time favorite children's book artists- Chris Soentpiet. His paintings are lovely, lovely, lovely- sooooo rich in detail and color. pictured below at homecoming last week. (If you missed Son #2, you can check him out on last week's Poetry Friday). And you will fly again. Toby Speed and her friend Kashi are hosting POETRY FRIDAY here. This is my third year as a judge for the CYBILS. After I read the books myself, I always take them to school to try them out with kids. Last year, one of the most-loved, most-borrowed (and most fought-over) Cybils nominees was Teruyuki Komiya's LIFE-SIZE ZOO. I'm not surprised, then, to see two more "Life-Size" books on the list of CYBILS nominees. These books are kid (OK, and adult!) reading magnets. If you are not familiar with the series, you absolutely need to check it out. 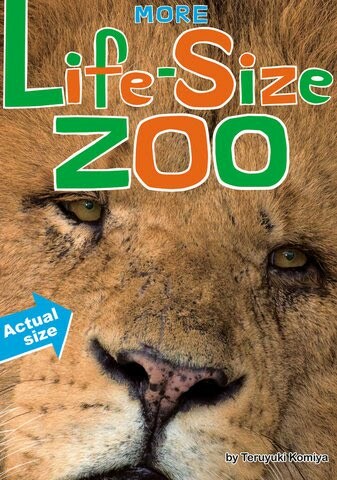 Each of these large (12"x 18") books begins with a table of contents cleverly designed as a map similar to what you would pick up when you entered a zoo or aquarium. From there on, though, it's gorgeous photograph after gorgeous photograph after gorgeous photograph of animals. And they are all life-sized! 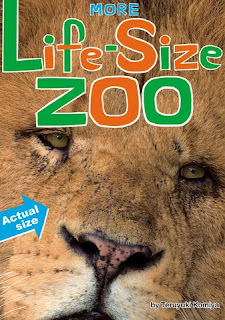 MORE LIFE-SIZE ZOO features a four-fold (ok, this one is a little hard to fold) lion, another four-page spread of a hippopotamus, a baby kangaroo eating a stalk of grass, a two-page polar bear head, a cheetah, a bison, a leopard, a racoon, and several other more unusual animals, such as an okapi and a gibbon. LIFE-SIZE AQUARIUM includes a little of everything you might see in an aquarium- fish, penguins, whales, dolphins, lizards, sea turtles, jellyfish, etc. My favorites were the four-page walrus (close enough to count the hairs on his face and marvel over his long tusks), the four-page orca, and the fin on the sea turtle. The LIFE-SIZE books are relatively simple in format, but also contain some great textual tools. A bar down the right side of each page highlights the part of the body that's been photographed, a TIME FOR A CLOSE UP section points out four or five key features and sometimes identifies their purpose, then a FACTS section gives four or five important facts. These books, aside from being so dang much fun, would be great mentor texts for young children learning to write research reports. Can't wait to see Teruyuki Komiya's next LIFE-SIZE book. This series is terrific! There's a cold wind blowing in Colorado tonight. And even though the trees are still sporting scarves of red and gold, and even though it's supposed to be 71 degrees on Saturday for the boys' last regular season football game, I can't help but think that winter is right around the corner. It's a perfect night, then, for BUGS AND BUGSICLES. The book begins in late September, when a monarch butterfly, a honey bee, pavement ants, a praying mantis, a field cricket, and an arctic woolly bear caterpillar are just beginning their preparations for winter. Author Amy S. Hansen then follows eight different insects' journey through the winter. 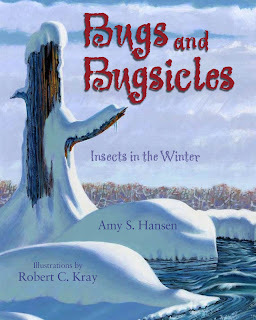 The graceful, almost poetic writing in this book is enhanced by wildlife illustrator Robert Kray's beautiful, super-detailed illustrations of insects in a variety of habitats. Appendices include two experiments for young scientists to try. There is a also a list of books and websites for further reading, as well as a glossary and index. And for those of us who are trying to help kids understand text structures, this is a great example of an enumerative text with parallel topics. 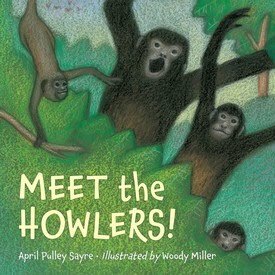 MEET THE HOWLERS is an unusual combination of fiction/poetry and nonfiction. Almost every page contains both a short stanza of poetry, e.g. and also a chunk of factual information about the howler monkey, e.g. "Howler monkeys are named for their incredibly loud calls, which can be heard a mile away. Only adult male mantled howler monkeys can actually howl. Infants make quiet "play calls" and young males yip or squeak." Kids will enjoy chiming in on the repeating refrain, "Woo-hoo-hoo! AH-UH-OH!" I also think they will love learning the factual information. Did you know, for instance that howler monkeys urinate or drop things on the heads of other creatures that get too close? It would be fun, I think, to use this book to talk about the differences between fiction and nonfiction. It would also be interesting to talk about the research the author had to do to enable her to write this book. Appendices include "More About the Howler Monkeys" and also a map of where howlers live. Our washing machine is broken. Lest I appear an unfit mother, I will carefully avoid ugly comments about teenagers who leave things in their pockets and damage the water pump on the machine, or two weeks later yank the door of the front loading washing machine open mid-cycle. I will also not make comments about teenagers who seem not to mind at all that their mother is dragging seven laundry bags of clothes to the laundromat each week while they sit home and watch television on a Sunday night. So anyway, tonight I had to go to the laundromat. And I usually I don't particularly enjoy the laundromat. But tonight it wasn't so bad. Why, you ask? Well, because this afternoon at the library I found CLEMENTINE: FRIEND OF THE WEEK. And I love Clementine! I love that she finds the names of her pets in the bathroom, because there are so many beautiful words in there. I love that she is not perfect. I love her descriptions of her friend, Margaret, who is. 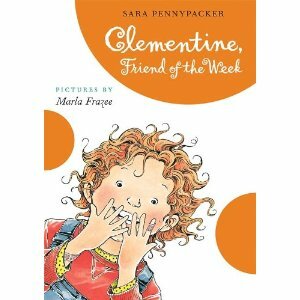 In this fourth book in the series, Clementine has been nominated for friend of the week. She wants people to write nice things in her "Friend of the Week" book, so she works hard at doing nice things for her classmates. She gives lots of compliments, sets up her own tattoo parlor on the playground, and makes big plans to help decorate everyone's bike for a weekend rally. Toward the end of the week, however, she is forced to put aside all of her plans when her kitten, Moisturizer, goes missing. Clementine made the laundromat a whole lot more enjoyable tonight! I could have used FRACTIONS, DECIMALS, AND PERCENTS on Friday. I had gone into a sixth grade classroom and was waiting for the teacher to finish a math lesson so we could start writing. Most of the kids have at least some understanding of money-- they visit the neighborhood convenience store on a fairly regular basis. Many of these same students, however, were more than a little confused during Friday's lesson on converting fractions into decimals, and FRACTIONS, DECIMALS, AND PERCENTS would have been a nice segue. Adler uses the prices and signs at a county fair to demonstrate how fractions, decimals, and percentages are related to each other, then review place value and demonstrates how to convert fractions to decimals. He also devotes several pages to explaining when people might use each term, e.g. "If the man at the pie eating contest ate four full pies and half of another pie, he would probably say, 'I ate four and 1/2 pies…he would probably not say 'I ate four pies and 50% of a fifth pie.'" 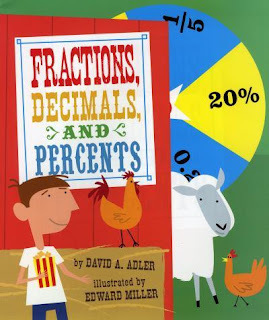 The book would be a terrific math lesson for any intermediate grade teacher, especially if he/she had a document camera so that kids could have some time to examine the illustrations. 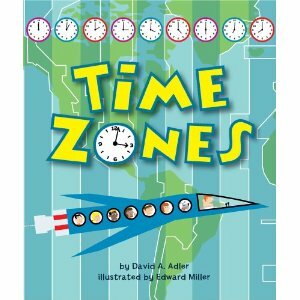 Adler's other math-related CYBILS nominee is TIME ZONES. If you have ever had the experience of explaining of trying to explain time zones to a group of eyebrow raising, incredulous/doubtful/non-believing children (and I have, several times) you will definitely appreciate TIME ZONES. Adler opens the book explaining what children in various places around the world would be doing when it is 6 am in Los Angeles. He then covers such topics as how time zones came to be, why time zone lines aren't straight (so they don't go divide major cities), and the International Date Line. The illustrations are clever collage combinations of an astronaut flying children around the world, aliens, clocks, maps, and even a photograph of the International Meridian Conference in 1884. Appendices in the back include a map of U.S. time zones, an explanation of Daylight Savings Time, and an experiment for kids to try. Another great read aloud for math time. P.S. I apologize for the way the images are appearing. Not quite sure what I am doing wrong today but everything is going all over the page. 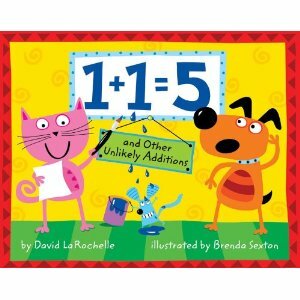 At the top of the stack is 1+1=5 AND OTHER UNLIKELY ADDITIONS by David LaRochelle. This book kind of reminds me of an old, old friend, the ABC book, Q IS FOR DUCK, except it's focused on math. Each right hand page has the 1+1 math "fact," but each answer is different e.g. 1 +1 =3, or 1+1= 110 or 1+1=0. It's up to the reader to use the clues in Brenda Sexton's bright, digitally produced illustrations, to figure out the meaning of the equation, which is revealed on the next page. 1 +1 =3 (1 unicorn + 1 goat =3 horns), 1+1=hundreds (1 pumpkin +1 watermelon= hundreds of seeds), 1 +1 =0(1 snake +1 worm = 0 legs). A really clever book that I think kids of all ages are going to absolutely love! (aside from the fact that this is one of the babies that I pray for every day). Son#2 at homecoming last week. I've been a teacher in urban schools for about 25 years. I've heard lots of hard stories. This year, though, has been exceptionally difficult. Story after story after story after story. Every. single. day. The kind that take your breath away- kids being hospitalized in psych wards, drive by shootings, pregnant teenagers, incarcerated parents, kids moving from foster home to foster home to foster home- with no sense of belonging or being loved, family members dying. Kids coming to school every day and needing to be rocked and loved and put back together before they can even begin to think about learning. This morning, when I was thinking about Poetry Friday, I remembered this poem/prayer by one of my heroes, Marion Wright Edelman. And it kinda seemed to fit. POETRY FRIDAY is at A WRUNG SPONGE. 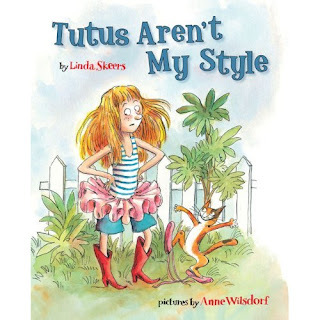 Yesterday I posted a review of TUTUS AREN'T MY STYLE. Today's review features another main character trying to find her place in a world that doesn't quite fit her, but this time it's a YA novel, SONGS FOR A TEENAGE NOMAD. 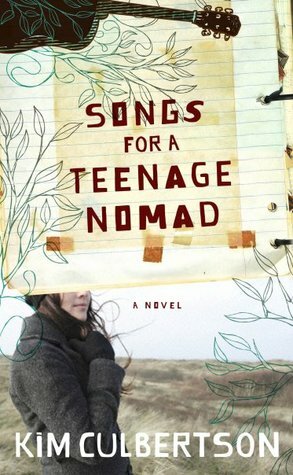 Fourteen year old Calle (pronounced Callie) and her mother live a nomadic life. Calle's father left when she was very small, and she has spent most of her life moving from one California town to the next. Each time another relationship ends, Calle's mom, gets out a map, and tosses a coin, then they pack the car and move to wherever the coin has landed. Calle doesn't bother to make friends or put down roots, because she knows she won't be staying anywhere for very long. The one constant in her life is her song journal, where she records vignettes or memories inspired by different songs. Each chapter begins with one of these memories. At the beginning of this book, Calle and her mom land in San Andreas Bay, one of the prettiest places they have ever lived. Contrary to her usual pattern, Calle become part of the drama crowd at school, and also becomes friends with Sam, a football player who is dealing with his own struggles at home. She also discovers a wooden box, then a drawer containing artifacts about her father and begins to piece together the pieces of that mystery. This is one of those books where all of the pieces just work. The teenager living on the edge of high school piece. The absent father piece. The song journal. And it reads a little like a mystery, where you can wait to read the next chapter to see how all of the pieces fit together. But the ending, unlike most puzzles but true to most real lives, is more than a little messy. A great read that I will share with our sixth graders tomorrow. I stumbled onto TUTUS AREN'T MY STYLE on Thursday afternoon. I was visiting a first/second grade class and arrived just in time for read aloud. 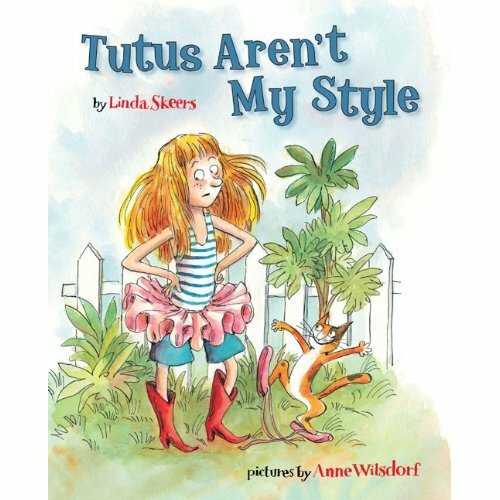 One of the children had chosen TUTUS AREN'T MY STYLE from a rack of new books that Mrs. J had checked out from her public library. I glanced at the cover, and then at my audience of very wiggly boys and thought, "Uh-oh." I scanned the shelf for other options, and picked up a couple, only to have the class inform me that they had already heard those. Giving a little mental sigh, I sat down in the chair, preparing for a read aloud disaster (ok, so to those of you who are still reading, and are making judgments about pseudo administrators who sigh when they have to read to kids- I love, love, love, love, love reading aloud. If someone told me that I could spend my life traveling from venue to venue reading, I would be a happy woman. And I'm generally pretty good at picking out perfect books for different audiences. I rarely read aloud books that I have not already read myself. Or books that I don't like. And yes, I know that books can be read and enjoyed more than one time). Emma, clad in red cowboy boots, is hunting for bugs and pirate treasure in the front yard, when when the mailman delivers a package from her favorite uncle. She opens it to discover a frilly pink ballet costume. Emma has never really viewed herself as a ballerina, but wants to please Uncle Leo, so with a little advice from the mailman, as well as a neighbor walking her dogs, she takes on this new challenge. With an Emma-ish twist. When we are done with the read aloud, Mrs. J asks if I will review story elements. We use "superstar comprehension" to run through the basics- character, setting, problem, and solution, and then because I am always curious about what children take away from books (and I'm totally fine if all they take away is a great story), I ask kids about the theme or life lesson. "You get what you get, and you don't throw a fit!" suggests the burly, football playing E-man. "When someone gives you a present, even if it isn't what you wanted, you are supposed to be grateful," says A., who is supposedly one of the lowest readers in the class. "Everybody doesn't have to dance the same or be the same," declared the spectacled, serious Miss C.
A really fun read with some pretty great life lessons! This is one of those times when I am totally wishing I could be in two places at once. On one hand, I know these two absolutely gorgeous guys who will be playing football on Friday night, then dressing up, and heading off to homecoming with their honeys on Saturday night, and I want to be here to take pictures and admire what amazing young men they are becoming. I'm staying in Colorado, but a big chunk of my heart will be in Portland, Maine at 10:00 on Saturday morning. "Those trees you are cutting down today were not planted by you but by those who came before. You must plant trees that will benefit the community to come, like a seedling with sun, good soil, and abundant rain, the roots of our future will bury themselves in the ground and a canopy of hope will reach the sky." 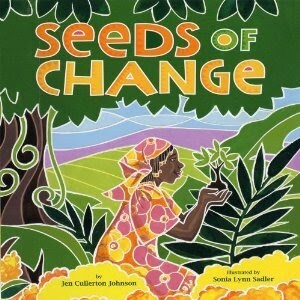 SEEDS OF CHANGE is the biography of Nobel Peace Prize winner Wangari Maathai. Maathai grew up in Kenya and attended college in the United States. When she returned to Kenya, Matthai was deeply saddened by the deforestation of her country. She started the Greenbelt Movement, a group which restored the Kenyan countryside by planting over thirty million trees. Matthai was a groundbreaker many times over-- when she was growing up, not many girls went to school, or continued on to college, or became university professors. At one point, she was even jailed by corrupt politicians more concerned about profits than reforestation. This is a well-told story with gorgeous, vibrant, richly illustrations (by artist Sonia Lynn Sadler) that beg to be closely examined. From 1991-1995, I attended the University of New Hampshire, where I had the enormous privilege of learning from Don Graves, Jane Hansen, and Tom Newkirk. Don is, without a doubt, the most significant teaching and writing mentor I have ever had. I have often joked that I was going to get a little plastic bracelet that said WWDGD? • Stay close to your center. Don was a famous man who did incredibly important work. He wrote more than twenty books. He traveled the world speaking about writing. He filled hotel ballrooms and mesmerized huge audiences at writing conferences for more than 25 years. Despite his popularity and fame, there was never any doubt about where Don was happiest and where he really wanted to be. And that was with Betty, always with Betty, his wife of more than fifty years. She was his best friend, his first reader, his travel companion, his anchor, the center of his universe. How I admired that relationship. • Be true to your friends. The Dons- Don Murray and Donald Graves were legends. But they were also best friends. They met at the Bagelry. They talked on the phone every single day. They responded each other’s writing. They walked through each other's dark times. • Nulla dies sine linea. 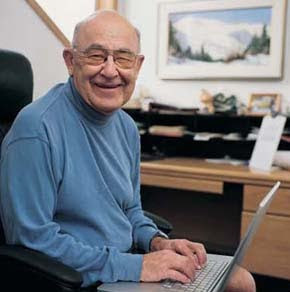 Don began every day in his study. Books. Articles. One pagers. Keynotes. Sermons. Poems. Never a day without a line. This week, I’ve thought a lot about how far I have gotten from that in my own life. • Be clear about your purpose. “What’s it for?”That question, more than any other, has guided my practice for the past fifteen years. • Teaching is about relationships. If I had to describe Don in one sentence, I think I’d say, “Don understood the importance of relationships,” or maybe I’d say, “Every single person who knew Don believed they were important to him." If you asked me, I’d say I was one of Don’s favorite students. But I think JoAnn Portalupi would say the same thing. As would Cyrene Wells. Or Donna Qualley. Or any of the twenty other students who went through the doctoral program with me. Don showed that he cared in so, so, so many ways. When my dad was diagnosed with terminal cancer the summer before I was scheduled to start my dissertation, and I flew home to be with my family, Don called every two or three days, just to check on me. I pretty much decided that I was going to stay home and not finish the doctoral program and then Don called to ask if he could be on my doctoral committee. He came out of retirement, and drove from Jackson two or three times that year to support my work. It wasn't, however, just the people in his UNH world that he knew and cared for. At conferences, people regularly approached Don. "I don't know if you remember me…" they would start. He always did. He always knew their names. He knew where they lived. How many children they had. What they taught. What they had talked about the last time they had been together. People, more than anything else, mattered to Don. When I came to UNH, I expected that the program would be competitive, because every academic program I had ever been in, from the time I was very young, worked that way. Compete, compete, compete, compete, compete. Be better, be faster, be smarter than the guy next to you. I was surprised, then, to discover that the doctoral program at UNH was very different. For Don, community mattered more than anything. He held all of his classes in his study at his house, as opposed to a sterile room on campus. Because community mattered. He devoted large parts of his early classes to learning names and sharing stories. Because community mattered. We spent most of each class in pairs and small groups. Because community mattered. We knew and valued and responded to our classmates' writing and research. Because community mattered. Competition simply wasn’t part of the game. Because community mattered. • Write with your students. Don never asked students to do what he wouldn’t or couldn’t do himself. If we wrote a one pager, Don wrote a one pager. Many weeks, he started class by reading aloud his work. More than a decade later, Don and Penny Kittle wrote a book, INSIDE WRITING, about this topic. I suspect it was an easy book for Don to write because he drew on years and years and years of experience of writing with his students. Don asked his graduate students to write one-page responses to reading (the dreaded UNH “one pager”) every single week. Like many students of my generation, I had endured many traumatic “red pen” writing experiences and am, at best, a reluctant writer. At first, Don (and Jane Hansen and Tom Newkirk’s) one pagers were tortuous experiences for me. Don read and responded to every one pager. His responses always addressed the content and thinking of the paper. He also usually included a line or two of comment about the craft. “You had such a powerful lead, Carol. I wonder how you might have circled around to that lead again in your conclusion” OR “I have never met anyone who can capture a child like you can. Be sure you include those vignettes in everything you write.” Knowing that I had strengths and tools I could use gave me the courage to step out and try other things. Now fifteen years later, I hear Don’s voice every single time I sit down with a writer. “Respond to the message first, Carol. Find the strengths in the writing. Point out what’s good and ask the writer if they can do it again.” Aside from writing with and in front of kids, this is the most important tool I have for teaching kids (and adults) to write well. • Students can accept big challenges as long as you place big safety nets below them. • The person doing the talking is the person doing the learning. People came to UNH to learn from Don Graves. Don knew a lot and could have easily filled our three hours graduate classes each week. But Don believed that people learn by talking to each other. And he lived that belief in his teaching. Don was prepared for classes, and he always did a little talking, but mostly he expected students to talk to and learn from each other. His classes were rich with conversation. o During my initial interview for the UNH program, I made a comment about Don having "completed" his work on the writing process. Don graciously informed me that that was not the case at all, that actually he had just begun. "The day I stop learning," he said, "will be the day I stop teaching." Don was a learner. Whether it be studying children's writing, or crafting poetry, or birding, or preparing to visit a new place with Betty, Don was a learner. He was always a learner. Travel well, dear friend. Travel well! I've spent my entire career in urban schools. And I love them. I love teaching kids who really need me. Kids who haven't heard stories read aloud. Kids who aren't enrolled in umpteen after school lessons and clubs and team . Kids who don't travel every vacation. Kids who need me. This year, though, has been particularly hard. There is a new hard story every single day. A grieving eight-year-old whose brother died in a drive by shooting at a nearby strip mall. Two little guys being raised by a pregnant teenage sister. A "family" of what seems like twenty people living in a thousand square foot bungalow, with seven or eight assorted kids that come to school and are supposed to function, despite not having slept in beds, or been fed anything that closely resembles nutritional meals. I believe in books. Believe that they have the power to help kids see bigger worlds. The power to transform. Or sometimes just the power to escape the hard worlds they live in. But I'm having trouble this year finding books that match my kids' lives. This weekend, I read a graphic novel that I will be taking to school to share with our intermediate grade students. 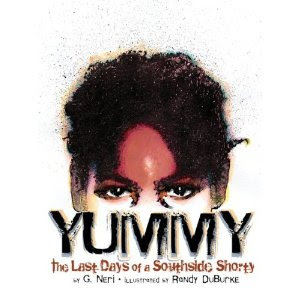 YUMMY: The Last Days of a Southside Shorty, by G. Neri, is the true story of Robert "Yummy" Sandifer," an eleven-year-old gang member, growing up in the projects of Chicago. Yummy was being raised by his grandmother, who was also raising about twenty other grandchildren. When Yummy was nine or ten, he joined the Black Disciples Nation gang. The gangs liked the younger boys because at that age, the boys could commit crimes, but could not be convicted of felonies. One day, in a street fight gone awry, Yummy shoots and kills Shavon Dean, an innocent fourteen-year-old who hoped to become a beautician. The story, told through the eyes of Roger, one of Yummy's classmates, might help one of my students to make safer, wiser choices. It might help kids or teachers to see a child through different eyes. It might keep one child out of gangs. Yummy is a book that my students need. 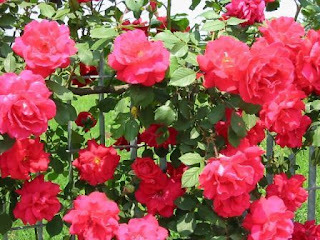 It's definitely fall in Colorado with mornings that are chilly enough to make me grab a jacket, but somehow, the rose bush at my neighbor's house (which is not currently occupied because it's being renovated) has mysteriously burst into full bloom. We just moved into the house this summer, so I don't know if it does that every fall, but it kinda seems like a reminder to seek joy in the midst of what have been a couple of long, hard weeks. Today is John Lennon's 70th birthday (does anyone else remember watching The Beatles first appearance on The Ed Sullivan Show. Jama Rattigan has devoted an entire post to this event and includes, The Wish Tree by Yoko Ono, a poem that would be a great "cousin" for Langston Hughes, "A Dream Deferred." "Columbus Day," by Charles Ghigna (Father Goose) is another poem that will be perfect to share with students next week. And "Mine Host of the Golden Apples" at Kurious Kitty is perfect for the end of apple season on the Atlantic Seaboard. Ted Kooser's "Neighbors in October," from Tricia at Miss Rumphius Effect is another "absolutely right for this time of year" poem. I especially loved the last line, "Bagging gold for days to come" and thought of pairing it with Robert Frost's "Nothing Gold Can Stay" for our fifth and sixth graders next week. And of course there is that favorite black and orange holiday at the end of the month. Andromeda Jazmon shares HALLOWILLOWEEN- a book that I sooo need to run out and by this weekend at Wrung Sponge. In addition to his Columbus Day poem, Charles Ghigna also shares "The Magic of Poetry," a beautiful poem about poetry (is there anything better than a poem about poetry?) at Bald Ego. Wow, wow, wow-- let's have a round of applause for Amy who presents her 19th and no that is not a typo, original poem about poetry at The Poem Farm! And it's lovely! The other 18 poems are listed in the sidebar so you can go back and check out some of those as well. And although it's not exactly a poem about poetry, "Trees" at Kurious K's Kwotes, is definitely a poem for poets. Tabatha Yeatts gives us LOOKING FOR JAGUAR AND OTHER RAINFOREST POEMS, along with a link for what sounds like it might be a really interesting blog and some very sobering aerial photographs of the rain forest. At Paper Tigers, you'll find some fun animal couplets from THE SELECT NONSENSE OF SUKUMAR RAY. I have PYROTECHNICS ON THE PAGE, Ralph Fletcher's new book about word play, on my list of books I want to to read. Sukumar Ray sounds like it would fit perfect into that category. At Wild Rose Reader, Elaine Magliaro reviews ONE BIG RAIN, twenty poems about rain throughout the year. Elaine hunted through her own body of work and found several more rainy day poems. Head over to The Write Sisters to read Barbara's very clever poem about change, and no, it's not the kind of change you are thinking about! At A Writer's Armchair, Toby Speed shares the original "Fold Me Up With the Laundry," a perfect parent poem. I think this would make a great picture book Toby! Laura Purdie Salas shares "The Insult" an original found poem. You can also " button in" to a whole bunch of original 15 word or less poems by a variety of poets at Laura's 15 word or poems post. Linda Kulp offers a poem about bullying. I'm going to use this with our intermediate graders, who have been having a few "issues" this week. Heidi Mordhorst participated in Laura's 15 word or less poem challenge and also provides information about SPARK, an intriguing opportunity for authors and artists to interact with each other's work. 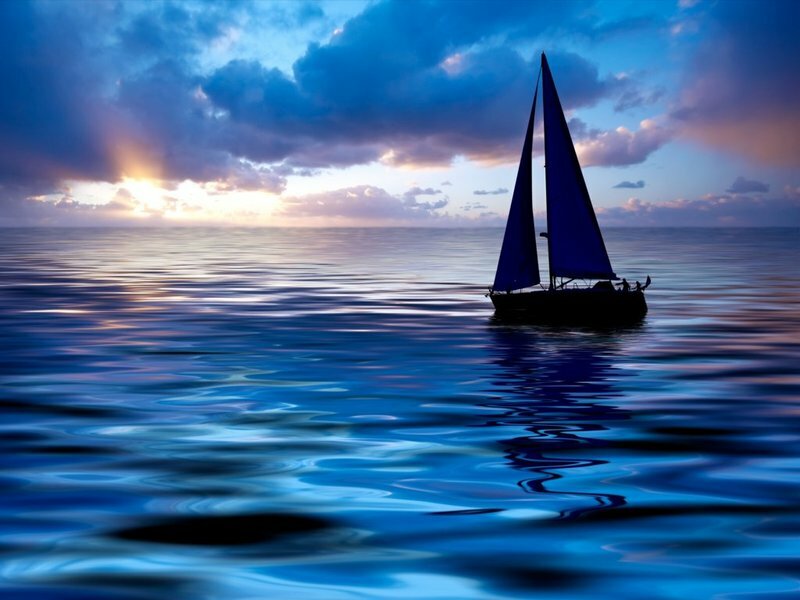 If you are looking for other opportunities to share your original poetry, Pat invites you to post your poems at her site, Quotes and Poems. Don Graves often opened graduate classes by reading poetry and Seamus Haney was one of his favorites. It seems somehow fitting, then, that Haney won the Forward Prize the week that Don passed away, and also that Haney's work made its way into Poetry Friday. Go to Castle in the Sea for a link to Haney's reading. When I think about my life in New Hampshire, some of my best memories involve sitting at a dear friend's kitchen counter, watching her roll pie crust and knead pizza dough. At the Stenhouse blog, we find Shirl McPhillips "Rolling Pin," a poem about the things we take/leave from our mothers. Be sure to follow the link to "Shaking Up the Muse," Shirl's poem from the previous week. Sometimes poetry just makes me laugh. Yesterday was one of those long, hard days when I wondered whether my child might end up on Jerry Springer talking about his dysfunctional mother's parenting skills (OK, if I am totally honest, I am actually absolutely sure he will end up there). 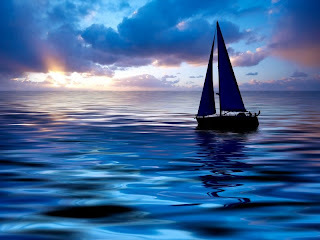 This morning I read George Bilgere's "Return of Odysseus" on Karen Edmisten's blog. And laughed. In another take on poetry as a lens for understanding life, Liz Garton Scanlon gifts us with Tony Hoaglund's "Taking It Personal" a poem that she describes as "both both beautiful and accessible, both story and metaphor, both humor and utter conviction." Mary Lee took a week off to have surgery (thanks for filling in Franki!) but she's back this week with "Did I Miss Anything?" And it wouldn't be Poetry Friday if we didn't have at least one offering from the Bard Himself. You can get your weekly dose of Shakespeare from Ruth at "There is No Such Thing as a God Forsaken Town." While we are on the subject of much-loved bards, this rendition of Shel Silverstein's "Sarah Cynthia Sylvia Stout," at Blue Rose Girls is terrific. Think I'd like to ask some of our students if they'd like to try selecting images from a favorite poem and putting them together. Jeannine Atkins tells some great stories about a visit to Steepletop, Edna St. Vincent Millay's home. It seems St. Vincent Millay's sister lived in the house for 30 years after Edna's death, but didn't want to disturb anything, even going so far as to hang her clothes on the shower rod instead of in the closet. And I loved the pictures of Edna St. Vincent' Millay's writing cottage! I want one of those (with no messy, mouthy, moody teenagers!). Laura Shovan, Author Amok, tells us that she is headed to the 13th Annual Dodge Poetry Festival, where she will hear Iraqi-American poet Dunya Mikhail. In honor of that event, she's posted "War Works Hard," a heavy and powerful list poem. Diane Mayr (Random Noodling) is also headed to the Dodge Poetry Festival, and gives us descriptions of some of the sessions she's hoping to attend. Sounds like a great event if you are anywhere near Newark! Think that's it for the roundup. My apologies in advance if I forgot anyone! Have a blessed weekend. so I've missed the last two Poetry Fridays. and I'm doubly glad to be hosting Poetry Friday. on the way to school and home again. A rock drops into my gut. hoping I'll take a swing at him. me like a toy dog. with Nelson's jabs and taunts. Someone on the playground yells, "Fight"
and a ring of kids surround them. and twists him to the ground. The dust flies. The circle cheers. the school, and everything in it. Travel well, dear friend, travel well. Leave your link in the comments below. I will update periodically throughout the day.